Picture Puzzles are very much liked by all the age group readers. These are the puzzle type which neither requires Mathematical calculations nor any Logical reasoning. These puzzles require only your observational skills to solve. There are many different types of picture puzzles. In some of the picture brain teasers, one has to find the hidden animals in the given pictures. In some of the picture puzzles, one has to find the mistakes the given pictures. In some of the picture brain teasers, one has to find the hidden letters in the given pattern. Last but not the least there are picture puzzles in which one has to find the odd one out in the puzzle picture images. 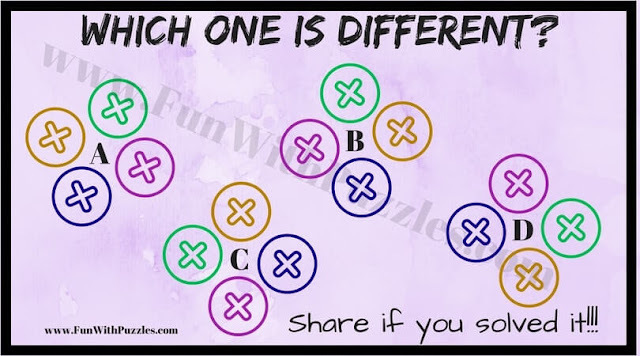 Today's puzzles are based on picture images in which one has to find the odd one out. In each of these puzzles, there are four patterns in each of the picture puzzle images. This pattern looks similar at the first look. 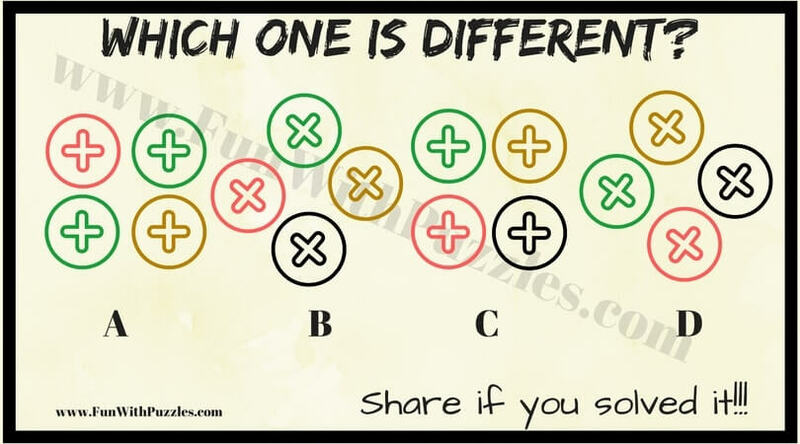 However only one of the pattern is different and the rest three are exactly the same. One has to find this odd picture out in each of these picture brain teasers. All these picture brain teasers are easy and kids will love to solve it. 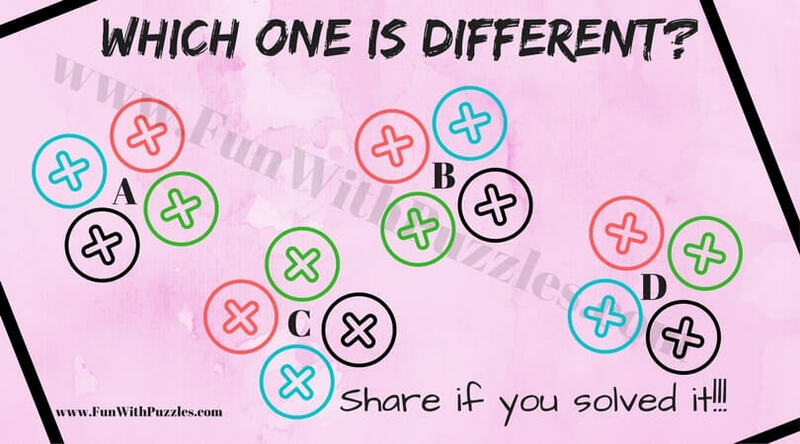 Let us see how quickly you can solve these puzzles? 1. Can you find which is Odd One Out? 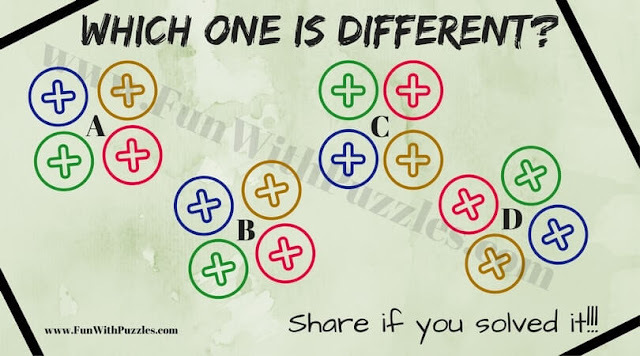 If you liked these puzzles do try similar Picture Puzzles. Also, check out the Mathematical brain test in case you are interested in solving Maths Brain Teasers. 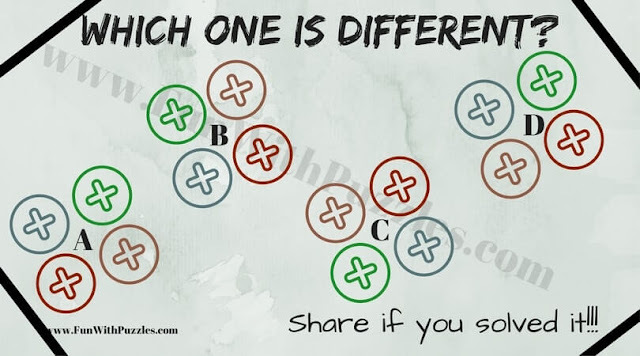 There is also Interesting Brain Teaser Test to check out your observational and logical skills.